When my other half and I sealed the deal on our studio apartment a few months ago, I knew I’d have to get really creative about storage. I mean, there is really no other option when you essentially sleep in your bedroom, living room, and kitchen every night. It also doesn’t help that in addition to two people living in one room, that we also have a pretty large collection of records and wine – neither of which we are willing to part with. So, I decided to get a little creative (or, a little crazy) and combine all of our loves into one unit, much like our apartment. 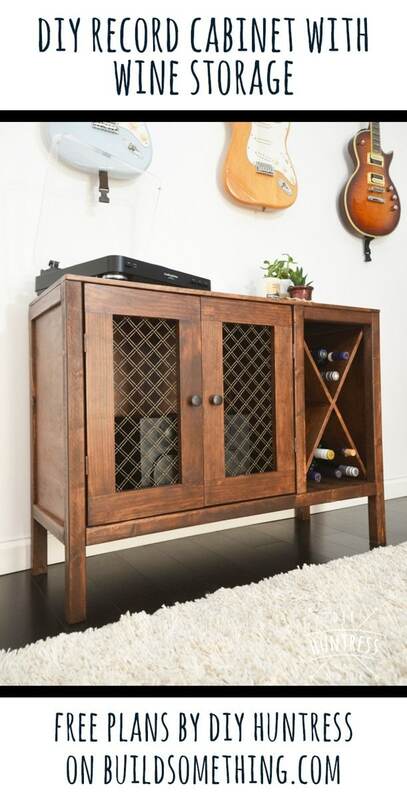 This sideboard/record cabinet not only serves as a home for our favorite equipment, but also provides a creative wine storage option as well. 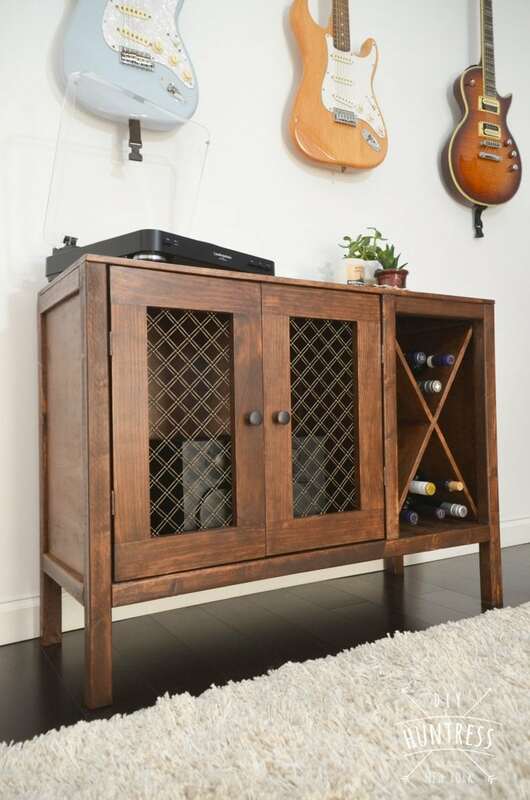 Best part is, a unit like this can be used in a dining room as a plain old sideboard or buffet, or even as a creative way to display a television. The possibilities are pretty endless here. For the bulk of the project, I decided to take the Purebond Challenge and get my hands on some Purebond Plywood. Holy hell you guys, I am damn glad I did. This wood is gorgeous and was so easy to work with. 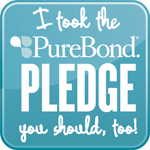 I’m declaring it now, once you go Purebond, you never go back. 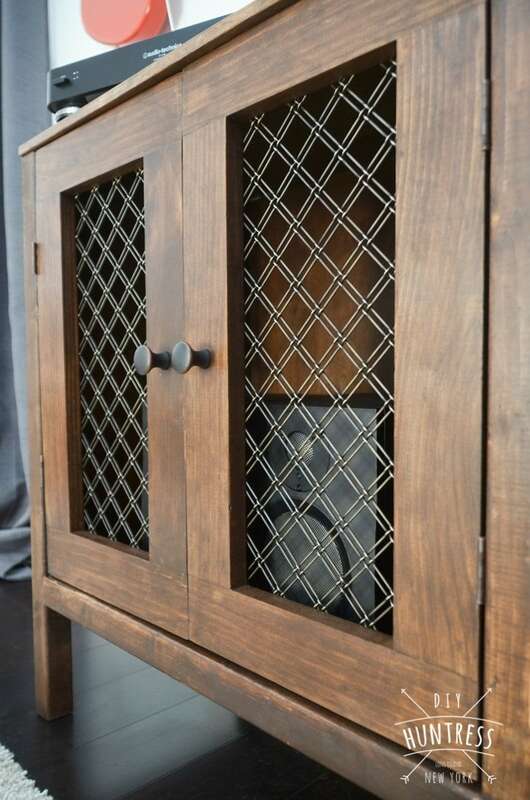 For the paneling, I decided to go with decorative metal grates instead of traditional wooden door panels in order to give it a fun, rustic look,but also remain practical if we are going to keep our speakers inside. 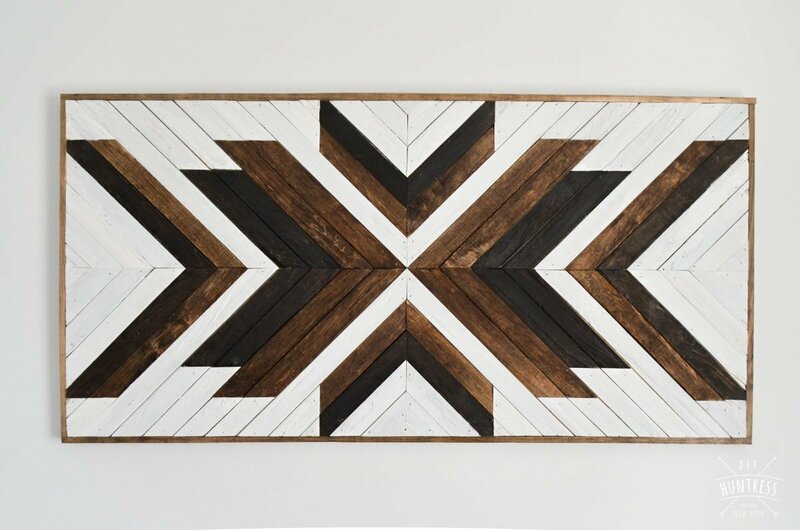 The specific panels utilized for this project came from Rockler Woodworking – they are a bit of splurge, but they add the most amazing design element (in my complete, unbiased opinion). I ended up only needed one sheet, and was able to cut it into two separate cabinet panels. Score! During the build I made sure to have spacers on hand for the height of the unit (I made these 6″ high to make sure the spacing was consistent. I also used spacers to help me center all of the panels. To create the partially-sunken look of the panels, I used a ½” thick piece of scrap and let it sit under the panel while I attached them to the 2×2’s. I was a huge skeptic prior to using banding, but now I am a complete believer. I am obsessed with this stuff. 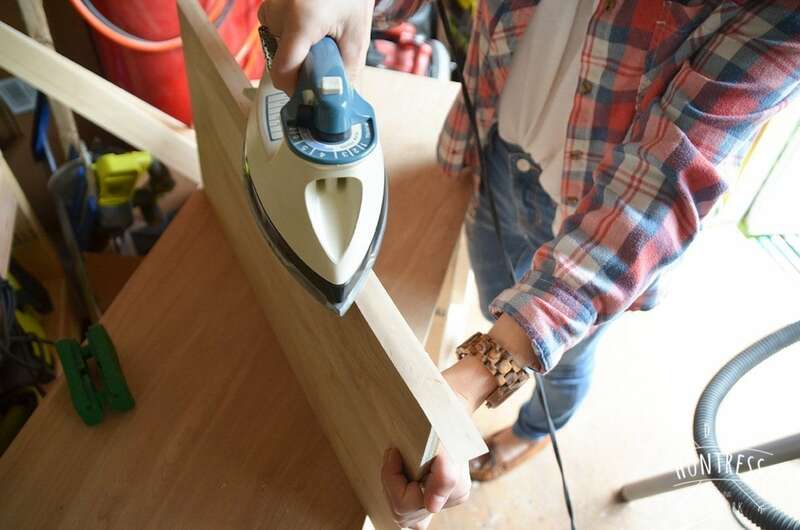 I used an iron to apply it to the raw plywood edges, and then used a razor to trim them and sandpaper to blend the edges. Guys, this product is a GAME CHANGER. I picked mine up at the Home Depot, but you can also get your hands on a larger roll on Amazon as well. Just make sure it matches the wood you’re using. Ps. Did I mention that the banding stains just like the wood? It’s pretty much magic. 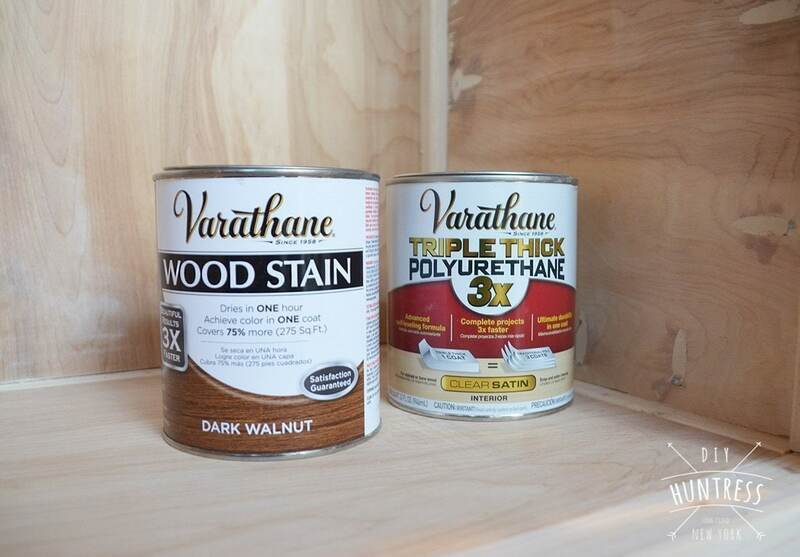 There are a lot of weird nooks and crannies in this project, so it may be worth it to pick a color before you finish and sand and stain those stranger places while assembling. 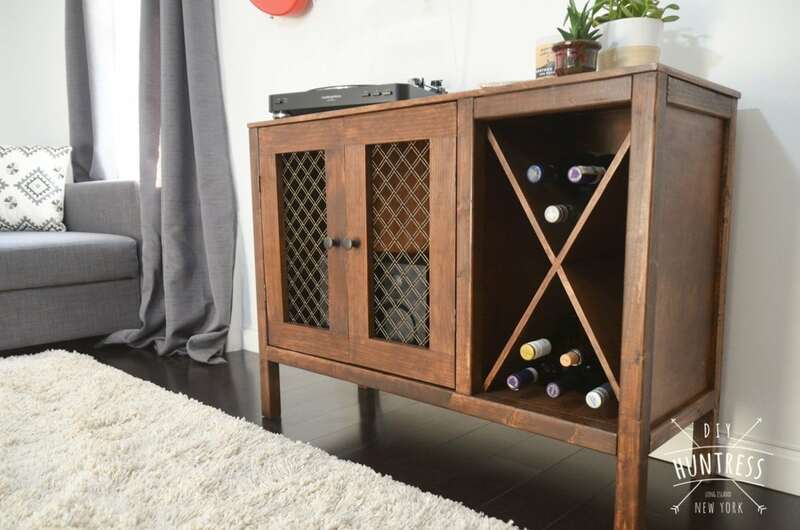 For instance, that wine rack… woof. I’m giving you the heads up here. Stain that puppy before you finish assembling. In case you were wondering, I filled all of my pocket holes with DAP Plastic-X Wood Filler, and when painted within 24 hours after sanding, they stained like absolute professionals. 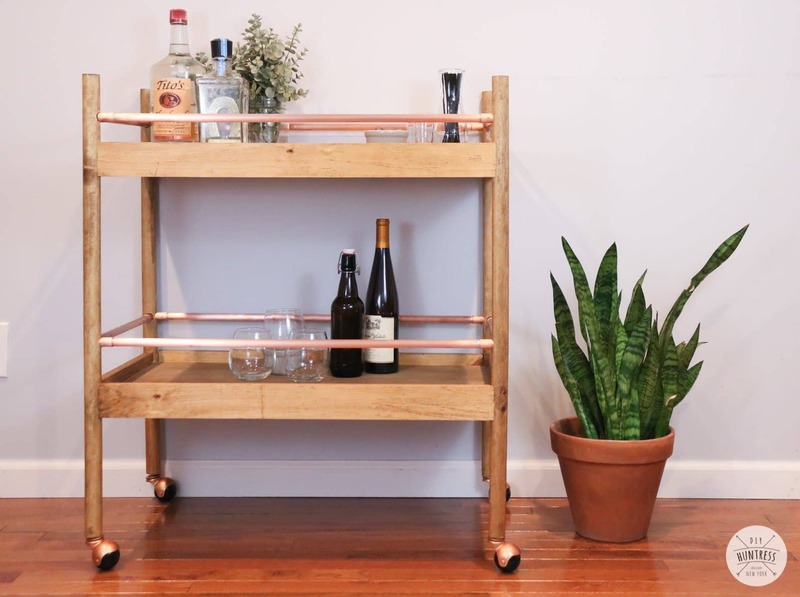 Now that you’re all prepared to build this thing like the absolute bosses you are, you can click the image below for FREE PLANS, courtesy of BuildSomething.com! As always, if you have ANY questions during this build, please feel free to contact me via my Contact Page. This is a pretty build big, but you’ve got this! ** A big gigantic thank you to the following companies for assisting with this project in the form of compensation or product donation: KREG, BuildSomething.com, Rockler, D. Lawless Hardware, DAP, & Rust-oluem. 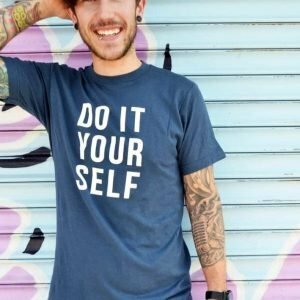 While they may have all contributed in some way, all opinions, product choices, and crazy ideas are my own. Can you provide an estimate of material costs for this project? Hi Jerri! The lumber for this project was about $75. 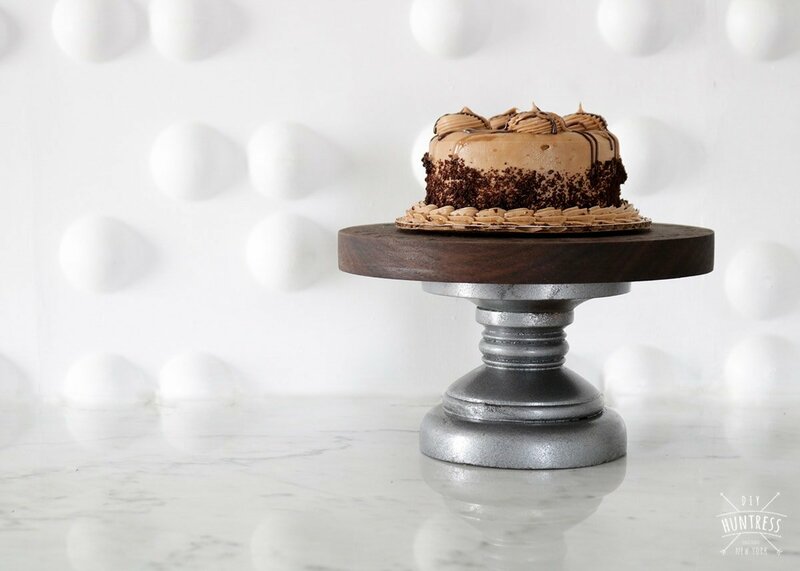 The hardware I chose for the unit is a total splurge, but if you were to choose some other options, this is doable for right around $100 – $150! Hope that helps! 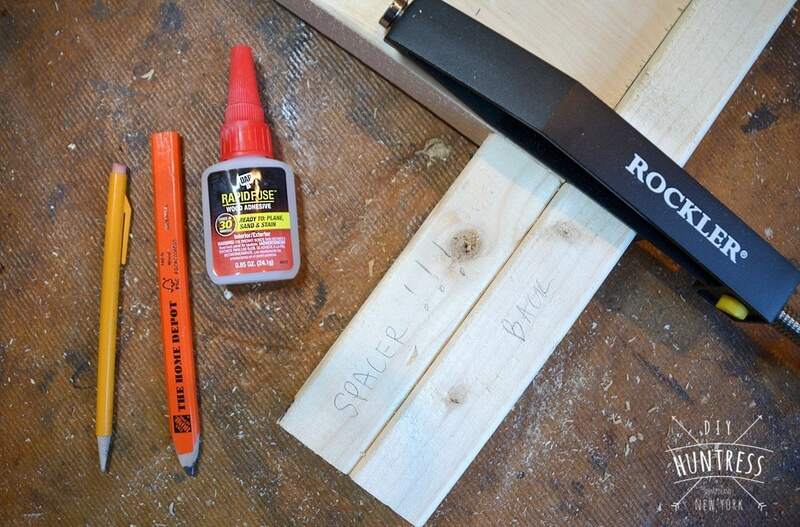 What species of lumber did you use? Hi Jon! I used birch plywood and pine. Where did you buy the panel/grill for the cabinets? Are they expensive? Hi! I got them from Rockler Woodworking! You can find the direct link in my post! Nice guitars! 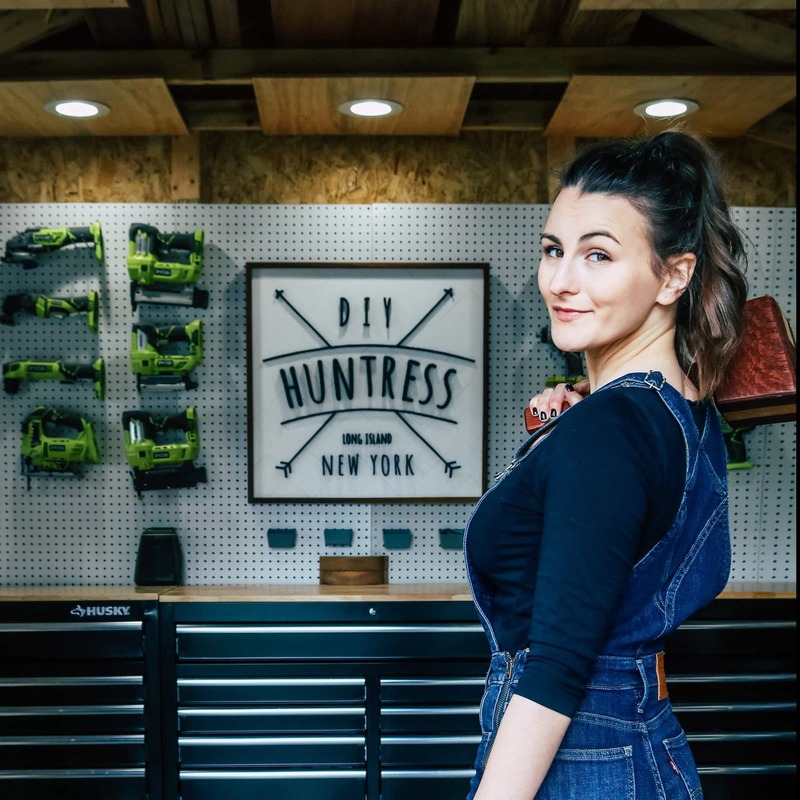 Did you DIY the wall mounts? 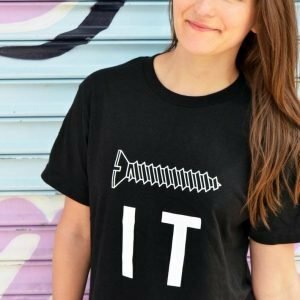 Anything you could share?